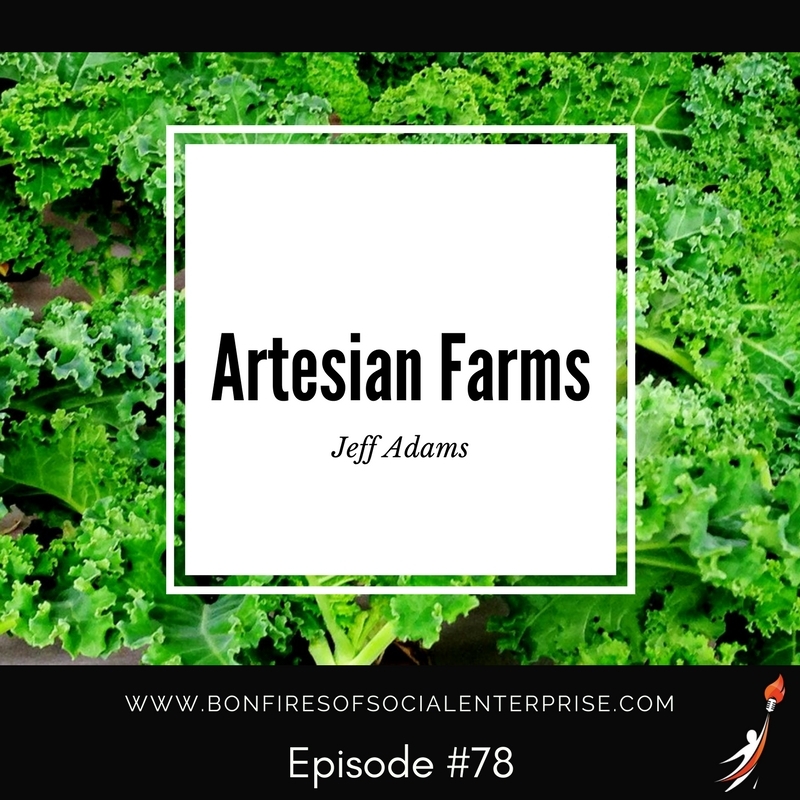 On this episode, Romy catches back up with Jeff Adams of Artesian Farms in Detroit. She interviewed him in Season 1, and his hydroponics facility has changed immensely. Jeff has had a lot of investor engagement. He has taken on program-related investments, loans, and direct equity. It has been an interesting journey. Great song by Astray at the end. Hello, everyone, this is Romy on with you for another interview about social enterprise and the fires that keep it burning! 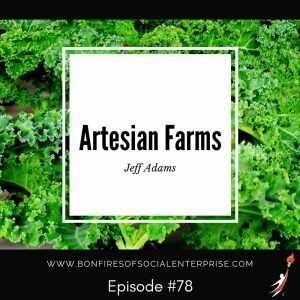 On this episode, we catch back up with Jeff Adams of Artesian Farms in Detroit. We interviewed him in Season 1, and his hydroponics facility has changed immensely. Jeff has had a lot of investor engagement. He has taken on program-related investments, loans, and direct equity. It has been an interesting journey. And, as usual, we have a song for you at the end by a Detroit artist. Let’s jump over to Luke to see what he has for our Fun Fuel today. Hi! This is Luke Trombley, and I am bringing you the fun fuel for this episode. When you think of farming, you typically think of an open field out in the country with tractors and farm animals. But, the ancient Mayan people were excellent at farming by hand. Using many systems of agriculture, they were able to feed their people as the population began to rise. In the mountains, they used what is called step farming. It was called this because the crops would look like giant steps. In swampy areas, they used raised earth platforms that were surrounded by canals. In forests, they used a tactic called slash and burn to create a farming surface, and then dug canals into that area to keep the soil wet for plants. Thanks, Luke! We people are so inventive and adaptive. So amazing. Lots of ways to farm. Okay, let’s keep rolling into the farming discussion with Jeff from Artesian Farms. We were on location so you might hear some blowers and such in the background. This is part of my interview with Jeff. Romy:	Welcome back to the podcast. Jeff:	Well Thanks, Romy, I appreciate you invited me back. It's been two years since we opened back, it actually was two years on Earth Day, it was April 22nd on 2015 that we had our little event here, we had our first prototype rack system built and since that time we've expanded, a little slower than what we anticipated, but we are rapidly expanding now, so it's really exciting right now. Romy:	Now let's catch everyone up. What's the size of the facility now? Jeff:	The size of the facility, square footage wise is 7,200 square feet of which about 6,000 square feet is dedicated for growing lettuce, kale and basil and currently, we have 14 unites activated that are growing those products with 26 more planned, and of those another 11 of them are already installed and ready to go, we're just waiting to volume now. Then we've got another nine units that we will be assembling here in the next 60 days. Romy:	We know because I've been talking with you on the side, but there's quite a demand for this hydroponically grown produce, isn't there? Jeff:	Yeah, there's a real demand for locally grown product period, whether it's hydroponically grown or traditional farming grown, whatever the case may be, but anything you read in the culinary and in the food world, everything's focused on local. You see a lot of the restaurants promoting local farmers, both urban farmers and farmers from around southeast Michigan, and then you also see retailers, the grocers that are promoting the same thing and the small, regional grocers are more active in that than the large national grocers, but it's really interesting to watch grow. We fit right into that movement, that local food moment. There are so many good, beneficial things out of local grown. One, the product's more flavorful, it's more nutritious, it lasts longer in your refrigerator once you buy it, because it's going from our farm to your plate in a matter of a day or two, opposed to when it comes from California where almost 90% of our lettuce comes from is seven to 10 days in the distribution channel because it even gets to the grocer than to your store. Romy:	Let's share what's now bring grown here because you had some ideas, but now it's basil, kale, and lettuce? Jeff:	That's correct, we're growing three products, it's a very narrow product mix, but it's high volume under a narrow product mix and that way we can meet what the demands are for our principal customers which are grocers. Grocers like Westborn Market, Bush's, Papa Joe's, Whole Foods, those are folks that really promote local and that we've got relationships with to buy our product. 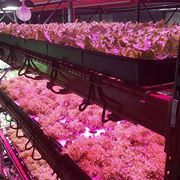 Our lettuce of a mix of lettuce, it's a variety of lettuce and that kind of changes up based on the season and what goes into it, but you see other packages typically call it spring mix, ours is called Motown mix. 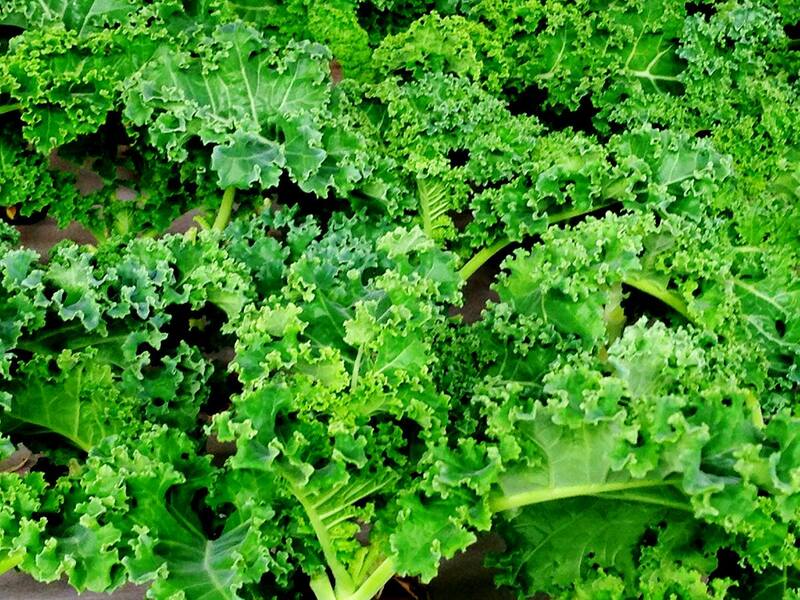 Jeff:	There's three or four different types of lettuce that go in there that we harvest, and then we have kale, which is a blue scotch kale which is a small, not as bitter flavor of kale, and it's a little easier to work with in your home or in a chef's kitchen, it's not the real big kale. Then we got basil, and our basil is by far and away the best basil that you will ever have. Everybody raves about it, and the stores can't keep it in stock, we move two or three pounds of basil a week into a store, and it's gone in two or three days. It's a whole different process than what the traditional basil farmers do. We harvest only the leaf, and so the plant continues to grow, and we harvest it every single week. The leaves are anywhere from about half of your hand size to your hand size of what goes into a one-ounce package. What you buy is all edible product where most basil comes in a package in about a third or more, which is stems. 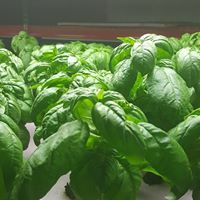 Especially this time of year, most of our basil comes from China and Vietnam, Colombia, Venezuela, so it's flying at 40,000 feet in a controlled environment, it's still cold, but it's still degrades the product. Jeff:	If you look at our product next to another suppliers’ product, there's just no comparison. Romy:	The basil, I have to admit ... Now I'm a little enamored looking at the kale right now through the window, but the basil, it almost looks like an artwork. It is the size of your hand, and it's so flavorful. It's almost tastes spicy. Romy:	That's so good. It's so good. I love what you just said about you decided to grow to meet the demand of your primary customers. I think that's such a misstep that a lot of us entrepreneurs can take, me included. We go off on one product or service line and then at some point the pendulum swings back to what's being bought the most and what you can produce. Was that a revelation for you? How did you land on that? Jeff:	Well, there's two philosophies in urban farming. Most people that are doing urban farming are growing for a very set group of people for a specific reason, and the other part of it is they're growing for the culinary world. The culinary world is kind of fickle in a way in that they want specialty stuff, all the restaurants you see going up in Detroit right now, they want specialty products, they want purple carrots, or they want this or that type of thing, it's a very narrow niche that you ... You don't do a great volume. But there are farmers here that do a great job of that because they're catering to the culinary world and that's what this focus are. Our focus was on the other side, was to look at the high volume products that are purchased for consumer use, direct consumer use and once you get past the tomatoes, peppers, cucumbers which are flowering plants which don't work very well in this environment, the next largest purchase is lettuce. Jeff:	Kale is kind of a hot product right now and because we grow basil in a unique way just because it's a competitive advantage and I make a product that we [inaudible 00:07:02] there's other things we can grow, we probably will once we get our facility up and running within a year, like spinach for example, we can harvest. Spinach we've done, rainbow kale, which is really kind of cool, nice product with real high nutritional value, arugula which has got a real spicy [crosstalk 00:07:23], those are other types of products that we've experimented with and that we will, at some point in time, probably add when we find the right niche that we can make money on. There's no point in growing something if you're not gonna make money on it. Romy:	Right, right, that's so true. You know what, I was remiss. I forgot to mention when we talked about the size of the building; I just want to remind the listeners that you took this building, was a blighted building. Could we revisit that just for a second? Jeff:	In the process of putting this business together, living in this neighborhood, I was looking around the area to find a structure, that actually was more of an entrepreneurial incubator before it was a manufacturing facility, but once we got it going, we landed on this vertical farming. I looked around for different buildings and landed on this one, and it was owned by the company across the street over there, and so we looked at it, it's really perfect for vertical growing because it's all concrete of block and metal, there's no wood, there's no sheet rock anything like that that collects water, collects mold, so it's really a perfect building for that. Plus with the long channels and long rooms made it perfect for setting up the inventory racks that we use for our trays and for our growing units. We bought the building in the summer of 2014 and renovated it as much as possible and started growing. It hadn't been occupied since 1998, over the course of looking at may have been here before, I've got the last user was a fishing lure company. But at some point [inaudible 00:09:02] used to have a tracker plant right around the corner here and a lot of the buildings around here were suppliers that supplied [inaudible 00:09:11] for different needs for their tractor manufacturing. That business closed in the mid 70's. Romy:	Yeah, and this is really beautiful in here with all the lightning. There's so many things that we as entrepreneurs go through. What are some of the things that maybe you were glad you didn't know in the beginning or things that you've learned along the way that you can share with someone else that ... Because your business is what I consider ... You need some equipment and capital, a large amount up front to get going and as we walked along the journey with you a lot of the capital came in in pieces. Sometimes people think that's good and sometimes you probably needed more up front than we thought, right? Jeff:	I think kind of the lessons learned was don't underestimate the time it takes from infancy to when you're actually productive, and then you associate a cash requirement for that period. It's difficult to estimate. Jeff:	You always need more than what you think you do and fortunately, we've got really good financial partners, investment partners, they've been phenomenal in helping out. That's kind of one of the things; the other thing is that if it was just farming and just growing and harvesting the business would be very easy. It's post-harvest that becomes more complex and more time consuming because you've got distribution involved, you've got packaging involved, you have a whole requirement for traceability for some of the retailers, so you gotta be able to know what you harvested, where you harvested from, when it went into the package, when it went into the cooler, when it came out of the cooler, and you show up and a retailer and it's gotta be temperature gauged, gotta get it cold in temperature. There's just a lot of complexity in the whole food channel that I really didn't expect. Romy:	That's interesting because it's way beyond the growing, right? The growing is its own science and the art of the delivery, that's a process all on its own. Jeff:	The easy part of it was the sell part of it. Romy:	The selling part, okay. Romy:	The process of establishing a vendor and all that, yeah. Jeff:	And it's a national chain, so it's understandable because these are things you have to go through with all these national chains. It took over a year to get through their process to get on board. It's been worthwhile, and it's worthwhile going in there and getting it done. Romy:	Well, you're a good salesperson, I wouldn't want to underestimate that, I mean the products ... When you look at the product it is really attractive, it sells itself, but you're a good salesperson. That's a good word though; I just want to pause on that front. Food entrepreneurs, the local businesses might be a little bit easier as a point of entry, but you still want to see those that might take a year because they would potentially buy bigger quantities, right? Romy:	But that's a good word for entrepreneurs starting. Romy:	That balance of ... Oh, you gotta get that go ahead. Jeff:	I'll shut it up. Jeff:	The whole division was to hire neighborhood people 18 to 30 years old that either dropped out of school, had some other difficulties in life or graduated and didn't go to college and looking for opportunity and for people in the neighborhood. The three people I have here, two of the three I've known since they were 10 or 12 years old and the other one is a close friend of the other guy. It's been worked out well, working with folks in under-resourced families, sometimes it becomes a little bit difficult when we have things happen. Like the lady that worked for me, she's a young mother, two children, when the children get sick she gets sick, she doesn't show up work. Things you just bare with because that's kind of what our mission is. Romy:	Those darn plants, they're living things they're not little robots, huh? Jeff:	They grow on their own; they grow fast, they require to be harvested when they need to be harvested and then you got things like, right now we've got an issue right now, we just harvested, and for some reason, we're replanting, and the water's not pumping up, so we gotta ... That's what I was [inaudible 00:16:42] right now. There's always things you just always gotta watch. Even though it's controlled and even though it's more dependable than outdoor farming it still requires attention. You can't turn on the water, turn on the light and walk away. Romy:	Right. Gosh, so what advice would you give somebody who's thinking of going into growing produce maybe in another part of the world or US in this kind of setting? Jeff:	I think the advice would be to work with somebody that you know has experience and does not just do[inaudible 00:17:17]. There's a lot of people out there selling technology to do this, but there's not a lot of people doing it. There's more and more people doing it, but it still has its challenges. How you're gonna go to market, it takes a lot of capital; we had a lot of capital here. There's other systems that work like in a shipping container that they renovated, there's places like that, but even those were expensive, and if you look at the yield per square foot, they're not nearly as what they are here. Jeff:	We've got the technology and lights interchanging rapidly, so we've got lights here that are kind of state of the art, but we keep things relatively simple. People sell a lot of technology to gauge the water to do the nutrient mix and stuff like that. You can do all that by hand, and that employs people, so instead of tens of thousands of dollars in elaborate technology to do the dosing and stuff like that, we've chosen to use simple dosing measures to employ people. They have to obey all the right operating procedures, do your work on a daily basis, we know exactly what the range of the nutrients are. That's a job, a job or two, you know? Romy:	Yeah, well that's great news. You're transitioning really beautifully over to something that we talked about before we started the interview was the value of relationships, not just with your employees, but you said that's one of the things that you really came to understand maybe more since you've opened this business. Could we go there for a little bit? Jeff:	Sure. [inaudible 00:19:05] you read a lot about how people get money and how they raise capital to do this. There's pros and cons that you hear about why does this group and this group doesn't and all this, and to me, it all comes down to one thing: it comes down to relationships. Everybody that's invested in this farm I've had a relationship with, especially the first group of people, I've had a relationship with for 10 years, and it just happened that it was on their heart to be doing something in the social enterprise world with Impact E3. We still went through the vetting process, we went through the business [inaudible 00:20:25], we went through the performance process, and I think people get lost in 'I've got a great idea, you gotta fund it because I'm this or I'm that.' To me, that's not the way it works. Jeff:	If you spend time developing relationships with those folks that are in the realm that have access to capital and that enables you to get to where you want to get to. I'd shot this around for six months before I even talked to Jeff and those guys and every bank, "Oh yeah [inaudible 00:20:58] or small business," yeah right, not startup businesses you don't. Finally, in fact, it was Jeff said, you've had six months of your time just wasted because they're not gonna fund you. People gotta realize that it's more than just a great idea, it's how you build trust, and you build trust in varied ways and the more relationship you have with those folks, the more likely you are to get funding. That's also filled out into the second round of capital as well, and some of those relationships, they weren't even relationships I had, but they had relationships with the folks at Impact E3 or the Skillman Foundation or the Max & Marjorie Fisher Foundation had. Romy:	They use their network because of the relationship that they had with you. Jeff:	It's a small world when you run in this social enterprise area it's kind of a small world. I'll give you an example, Don Lee went to a meeting at the Max & Marjorie Fisher Foundation and sat next to a gentleman by the name of Jamie Jacobs. The two hit it off, and Jamie said [inaudible 00:22:13] and Don says, "You know Jeff Adams?" And Jamie says, "Yeah I know Jeff Adams, I like Jeff Adams." Jamie comes in and becomes an investor in the second round of this. So here's relationships that didn't really connect until it connected here. Now is that coincidence? I don't think so, that's not coincidence, that's just our belief that happens, that God puts together a way and that he helps us accomplish things. Those are all the things, relationships are just really, really strong in an element of giving and raising capital. Romy:	Do relationships ... Walking through the investment side with you and several others, there's stuff is just gonna go wrong too that you can't plan for and the relationships, if you can bring them together if you've maintained the relationship after you've got capital. I see a lot of entrepreneurs say, "Okay, see you later I don't need my relationship with you anymore now that I have my money." You've done a really good job about keeping the relationships, keeping everybody included because stuff just happens that you can't plan on, and you need those relationships to walk alongside you and come up with more capital like in your case or a lot of these guys have jumped in and lent their talents and time too right? Jeff:	Yeah, that's all part of the Impact T3 is time, treasure, talent and the racks in the back of the building here, the team came down on Saturday and helped assemble, and they came to the racks on the other side of the building, they came in three weeks ago and assembled those. Don brought a young guy in yesterday, I gave him some stuff, he took it home, he's assembling things that we're gonna use for plumbing. There's all those kind of things that play into it and then just from a standpoint of consultation and talking and sharing different ideas and getting different feedback. Romy:	Making payroll, that sort of thing yeah. Jeff:	That's what keeps me up at night, or day. This new group of investors, they're really, really excited and aggressive to get this thing built out and going. They're telling me, "Okay just buy it, buy it, buy it, buy it." [inaudible 00:24:57] I said Don, I'm kind of concerned about this and he [inaudible 00:25:05] says, "Hey, we're telling you to spend it, we're telling you to invest it, invest and don't worry about it." Okay, I'll try not to. For someone that hasn't had that amount of cash in the bank, everyone in their life, to really try to hold on to it and not really [crosstalk 00:25:28], it's a different mindset. Jeff:	... Than those that have managed large amounts of money. One of the investors said, "How much are you gonna put in?" He said, "That's not risk, that's not risk." When you have to form a bond to do a project, that's risk, that becomes risk. That's not risk [inaudible 00:25:48]. To me, that's risk. Romy:	Well we're touching on something that I think is a timely thing to touch on, is this mentality of poverty or abundance. It's difficult to transition if you've had, and that's an extreme way to say it, to say it's poverty or abundance, there's all the range in between. I think it is interesting to make those spending decisions with lots of zeroes after it and you're feeling responsible about other people's money. But these guys are pros, and they know how to turn a business which is comforting, right? Jeff:	It is, and the other side of it is, the money's there, and it's not like it's being misappropriated, that's what the money was there for so it's not like I'm off Puerto Rico for vacation. Of course [inaudible 00:26:43] would never let me do that. It's comforting, one of the guys Pat, he was down here with Jeff a few weeks ago and showing him around, and he said, "You know," ... There's Don. But Pat said, "You're kind of in the turtle mode." I said, "What do you mean a turtle mode?" He said, "You know Don, your neck only stretches so far and you're in the grass," he said, "You need to be in the giraffe mode, you need to be up here at 60,000 feet or 26 feet or where a giraffe is and see the big picture, because you've got so much going on down here that it's hard to break away from. Romy:	I need that advice. Personally, it is hard to work on your business while in it. Well, I don't want to keep you, but I want to thank you so much for taking time to let me come back in. I want to keep the story going.